My RØDE Reel 2018 - Come to Sydney and Make Your Film! 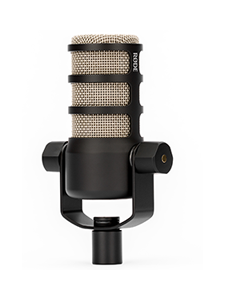 RØDE Microphones today launches their flagship competition ‘My RØDE Reel’ - and this year, there is an exciting new twist. To celebrate My RØDE Reel’s fifth year, leading pro-audio brand RØDE Microphones is giving creatives the opportunity to write and direct their own script for RØDE’s entry film in ‘My RØDE Reel’ 2018! With over 8,000 submissions from 90 countries, My RØDE Reel has not only become the world’s largest Short Film Competition, but has also established itself as a showcase of talent and innovation from the global filmmaking community. Each year, the RØDE Team film their own short film to show just how easy it is to enter. And this year, we want YOU! Launching the 1st December, simply submit a script, treatment or visual storyboard for a three-minute film at myrodereel.com. Our judges will select the most interesting and original entry to make into the RØDE entry film. 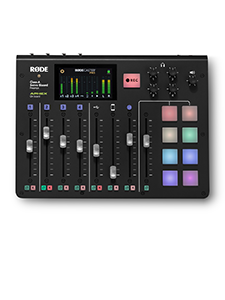 The winner will be flown out to Sydney in February to be part of the RØDE production crew – and could even end up directing! 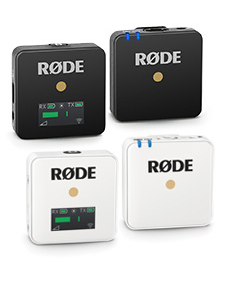 CEO of RØDE Microphones, Damien Wilson, said, "For many filmmakers, RØDE Microphones are an integral part of the creative process. We are delighted to continue to support the global film-making community through My RØDE Reel 2018, which this year is bigger and better than ever - and we can't wait to see what script-writing talent this year's new competition will unearth!" Scripts must be submitted by midday January 15th, Sydney Time (AEDT) so sharpen those pencils!